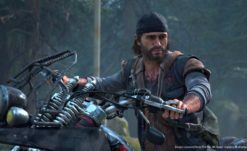 Days Gone has a new trailer, and it is jam-packed with information. 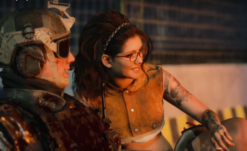 This one is all about means of survival, and give a more intimate introduction to the enemies players can expect to meet in the Farewell Wilderness. This trailer is informative from the first word to the last, so we can jump right into a summary here. First up, it’s the enemies. Freakers: All the unfortunate souls who’ve fallen prey to the virus. Freakers hibernate, drink water, and have migratory patterns, and seem to move in social packs. They also eat, and living humans happen to be their meal of choice. Every one of the afflicted is a Freaker, but each falls into a subcategory that tells you exactly how to avoid, manipulate, or fight them. Swarmers: These are the main pack type of Freakers. Traveling in groups ranging from three to hundreds, they move as though operating with a hive mind. This includes responding to outside stimuli, so players should avoid attracting the attention of any one of them until they’re ready to face the entire pack. Newts: Newts were infected as teens, and are slightly less dangerous as a result. They’re a bit like cheetahs looking for a wounded gazelle on their plains. Newts attack only when they find injured prey, or if you happen to wander into their territory. Want to avoid them? Give them a wide berth and keep up with your health. 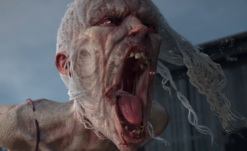 Screamers: I bet you can’t guess what these Freakers do. Scratch that, you already know. They scream, alerting every other Freaker in the area that a tasty morsel is around. If there is a Swarmer pack nearby, you can be sure they’re going to respond in all their hive-mind glory to the sound of that scream. Breakers: Before infection, these Freakers were fond of the phrase, “do you even lift?” These days, they stay on top of those sweet gains by using prey and enemies as slam balls. Charming. This video also introduces a few of the tools players will be using to cut through the Freaker ranks. Flaming bolts you craft in the field make an appearance, probably by popular demand from anyone who has played an FPS-Exploration game in the last decade. These come in handy for mass extermination by arson, so keep some crafted and be aware that the infected inside aren’t going to appreciate your attempt at a bonfire welcoming party. When fighting humans, be sure to loot their corpses and camps for basic weapons and ammunition, which you can sell at survivor camps. Use the funds to purchase better weapons. Human scuffles are also billed as the best time to use Combat Focus, a player skill that allows players more time and fewer distractions for improved aim. Stealth is another standard of FPS games, so it’s entirely expected here. Use it when approaching hostile human camps for the best chance at getting out alive, and with enough supplies to survive the next battle. Players like myself will appreciate what looks like a plethora of melee options. The system for repairing or weapons on the fly works while in motion, and even includes the option to scrap equipped items you no longer want to keep. It does look like opening the repair/swap menu slows time in-game, so I’m interested to see how that feels in play. While I can see it being a great option, getting used to it outside of swarm combat is probably a pretty solid suggestion. 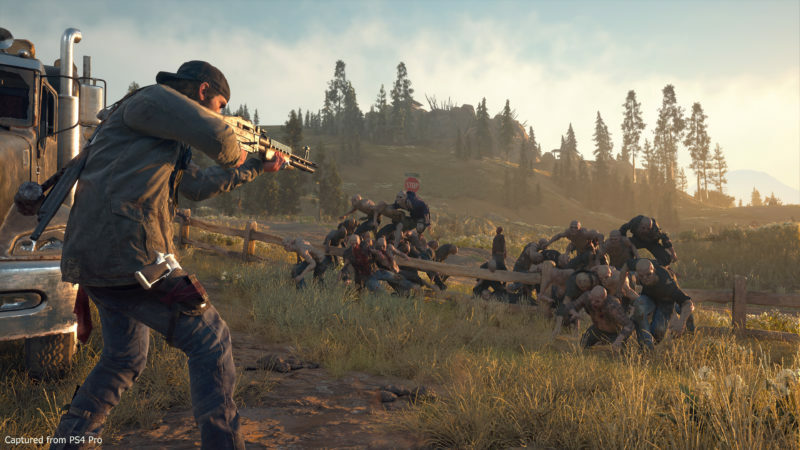 Days Gone is available for preorder exclusively on PS4, and releases April 26, 2019.